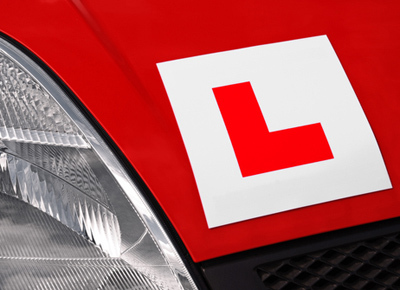 We provide driving tuition for both full license holders and learner drivers alike. We have a range of driving courses on offer and your choice of course depends on your needs and preferences. There are several courses for you to choose from and our experienced driving instructors will provide the right level of training you need to reach your goals. What Should You Consider Before Booking a Driving Course? The DVSA recommends 40 hours of tuition with a fully qualified driving instructor, as well as 20 hours independent practice before a student can be considered ready to take their driving test. With the average price of a driving lesson currently at £20 per hour – more if you are booking automatic driving lessons – the cost of getting to test standard is over £800. Due to the amount of money involved, it is important to pick a driving course that matches your budget. If you have several other financial commitments, weekly driving lessons, spread out over a few months might be best. While if money is no issue, you can book an intensive driving course, which although more expensive, will get you to test standard at a much quicker rate. The time you have to dedicate to your tuition, has a bearing on the type of driving course you should choose. Individuals who find it difficult to make time to practice, are often better suited to booking weekly lessons, while individuals who have a short window in which to learn to drive in, should book a course that will have them at test standard in a short period of time. To get the most out of your driving lessons, it is important to recognize how you learn best and then structure your lessons around your preferred learning style. If you need to constantly repeat a task over and over again to grasp the concept, spending three or four hours a day on a semi-intensive driving course could suit you really well, while if you need to practice on quieter roads, a residential driving course could be what’s best for you. Experienced learner drivers who are close to test standard, often require a few intensive driving lessons to prepare for their driving test, while new learner drivers booking their first driving lesson, tend to require one of our full 40hr+ driving courses. What Are The Different Types Of Driving Courses? An intensive driving course is a course taken by individuals who want to acquire their driving license relatively quickly. On this driving course, learner drivers are required to practice for up to 6 hours a day, the course lasts between 1 and 2 weeks and once you reach test standard, you will be able to take your driving test shortly after. If you already hold a full driver’s license, but find a few topics on the driving syllabus challenging or you are lacking in confidence, you can book a refresher driving course with Book Learn Pass. Each lesson is dedicated to working on a specific topic you find challenging or blowing away the cobwebs and improving your confidence behind the wheel. Learning to drive in an urban setting can be difficult. Built up roads are challenging, there are numerous road users and potential hazards at every turn, making it a challenging environment to learn to drive in. 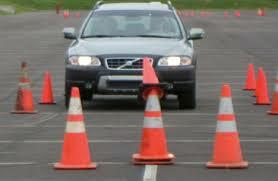 For individuals who find such situations particularly difficult, a residential driving course could be the answer. On a residential driving course you will practice in a rural setting, where the roads are much quieter and pass rates tend to be much higher. A semi-intensive driving course lasts between 2 – 3 weeks and each lesson on the course lasts up to 3 hours. If you are in a rush to pass your test, but have other commitments to uphold, this is a great way of getting to test standard quickly, without dropping everything else to do so. 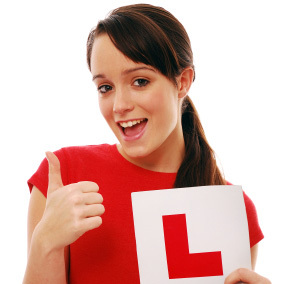 Learner drivers who are not confident about passing their driving test, can book a guaranteed pass driving course. This programmes includes several retakes of your driving test, along with some additional tuition, depending on the package you choose. 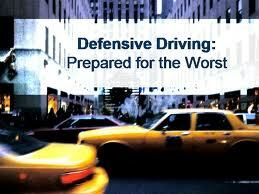 A driving crash course is the ultimate preparation for a driving test. On this course you will go over the essential topics in the driving syllabus, covering things such as driving manoeuvres, dual carriageways and large roundabouts. It is designed to give you the best chances of passing and it best for learner drivers who have had lessons in the past and are already close to test standard. To reduce the chances of you being involved in an accident or serious incident once you have passed your driving test, you can book a defensive driving course with Book Learn Pass. The course teaches you how to drive in a way that minimizes risk to you and other motorists, by having you anticipate the actions and intentions of other road users around you. Full license holders can book an advanced driving course and this programme teaches you how to handle a vehicle in the most effective way possible. The course will develop into a better driver, by teaching you to drive in a way where the car is always positioned correctly, your speed perfectly matches the conditions you face, you are always in the right gear and you are capable of coming to a safe stop whenever necessary. If you have held your driver’s license for less than 12 months, you are regarded as newly qualified and the DVSA recommends you continue your driving tuition by taking the Pass Plus driving course. The programme lasts for 6 hours, you are entitled to lower insurance premiums upon completion and on the course, you will be taken on the motorway, dual carriageway, through busy town centres, rural roads, in all weather conditions and out at night. If you have been involved in a collision, serious incident where you were at fault or you have committed a road traffic offense, you may be compelled by the law to complete a driver awareness course. The programme is usually offered by the Police and it is used to retrain motorists who have fallen foul of the law. If you have been banned from driving due to a drink driving offence, you can book a drink driving course through Book Learn Pass today. Completing a drink driving course can reduce the length of your suspension by up to 25%, ensuring you are retrained and back on the road much sooner than you otherwise would be. If you have been caught breaking the speed limit, in most cases you have the choice of either paying a fine or attending a speed awareness driving course. This programme aims to adjust your attitudes towards speeding, while reducing the chances of you breaking the speed limit again.